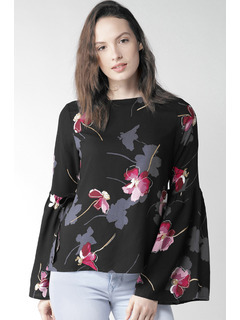 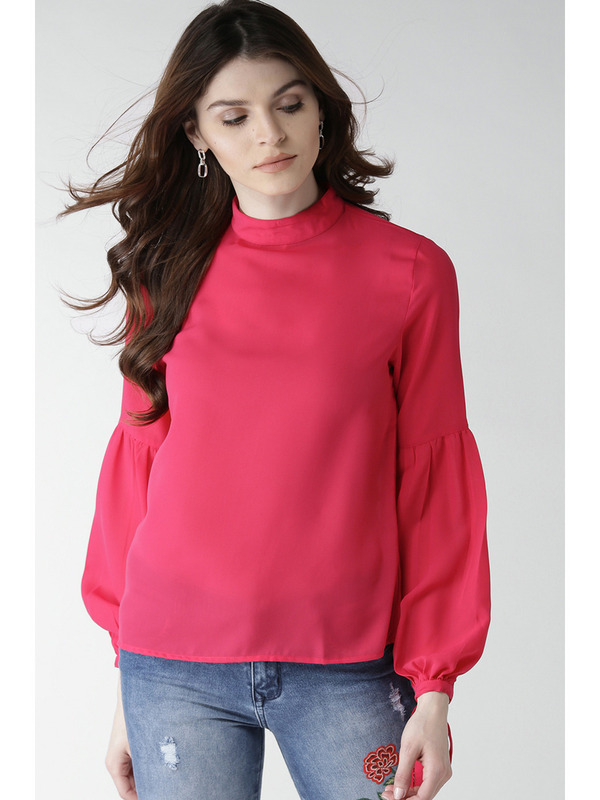 Statement Voluminous Sleeves have been a huge trend for a while now and it doesn't seem to be stopping any time soon. 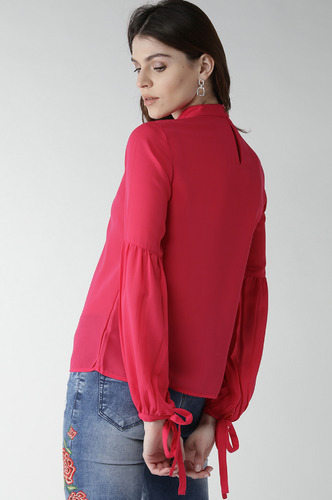 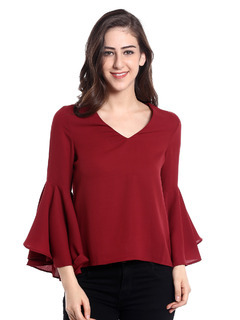 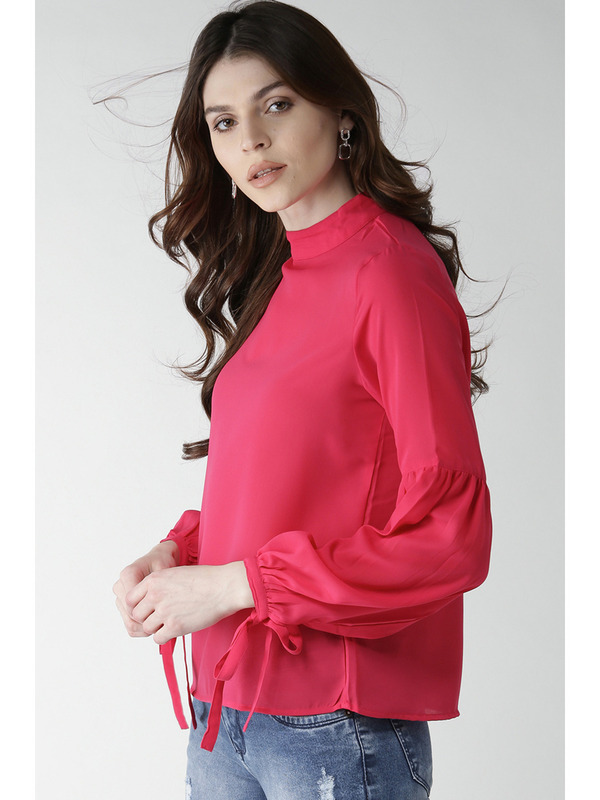 Bishop sleeves are more soft, feminine and they compliment the outfits to which they belong, while remaining a standout feature in their own right. 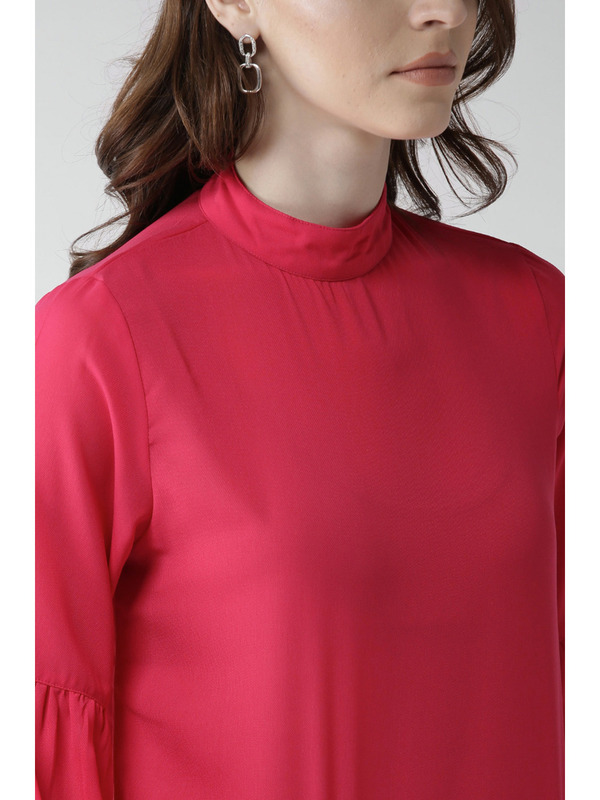 High Neckline with a back button for fastening and ease. 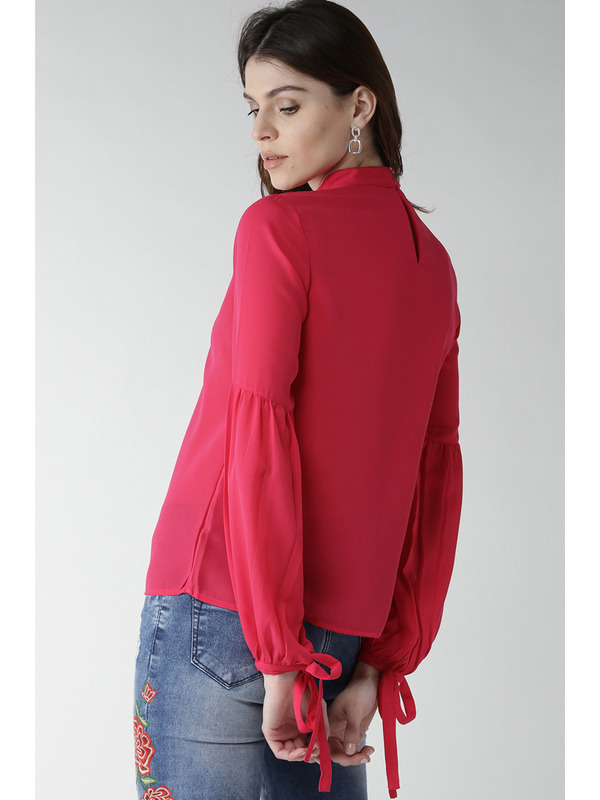 Full Bishop Sleeves with tie up at the sleeve bottom for style.